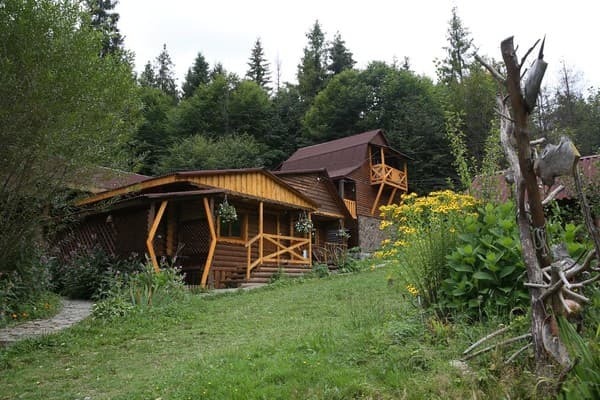 Hotel "Zarinok" is located on the edge of the village of Pilipets, near the forest, on the river bank. 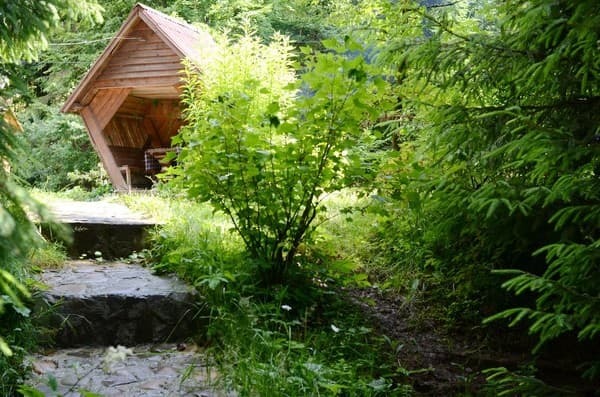 Hotel "Zarinok" is a two-storey wooden cottage, which can simultaneously accommodate up to 30 guests. The services of the guests are 14 comfortable rooms of the category "standard", "economy" and "junior suite". Each room is equipped with comfortable furniture, bedside tables, a refrigerator, an electric kettle and free Wi-Fi. Rooms are cleaned and bed linen is changed every 3 days. 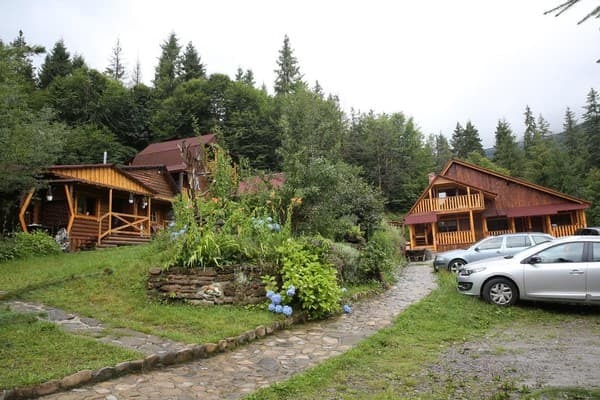 The hotel "Zarinok" has a cafe-kolyba, which serves national Ukrainian cuisine, as well as a sauna, a conference room, table tennis, billiards, a swimming pool, a library and a children's playground. On the territory of the hotel there are gazebos where you can relax in the fresh air and, without going far from the hotel - to have a picnic (there are mangals). Free parking spaces are provided in the courtyard of the hotel. The distance to the nearest ski lift is 400 m. Volovets Train Station is 16 km from the hotel. 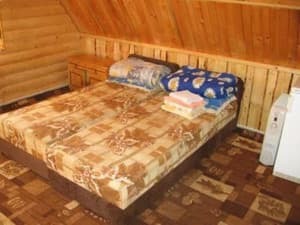 Description of the room: The room is equipped with two single beds, which can be moved. 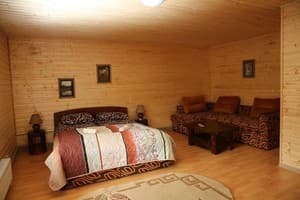 Description of the room: Two-room suite, which is equipped with a double bed in one room and a convertible sofa in the second. Немає кімнати для сушки спорядження, далеко до витягів (400м), відсутній електрочайник. 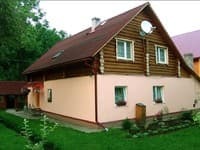 Прекрасная природа, деревянные домики, уединение с природой, приятная руководитель, нормальная ванная комната и туалет. Было достаточно холодно, но отапливали за неделю пребывания один или два раза, и то - только днём. А так мы с мужем спали под одеялом, покрывалом, в тёплых шерстяных носках, спортивных штанах и кофте, и ещё и в бутылки набирали горячую воду (грелка получилась). Очень хорошо слышно соседей, каждый из разговор. Было один раз, что закончилась горячая вода в душе. Мне пришлось в ужасно холодном номере домывать голову ледяной водой.. Хотя мы воду в номере до этого не включали.. Очень много неприятных мелочей! 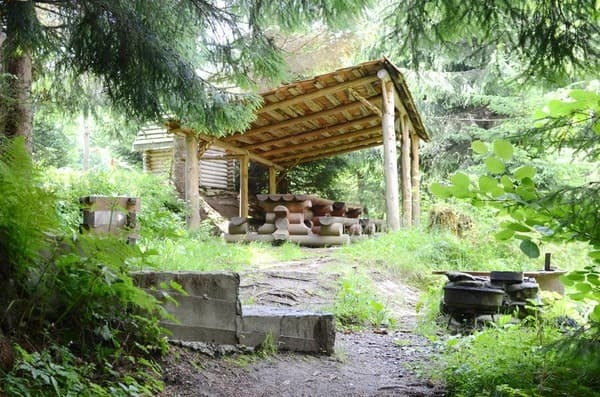 There is a kolyba on site, where guests can eat. 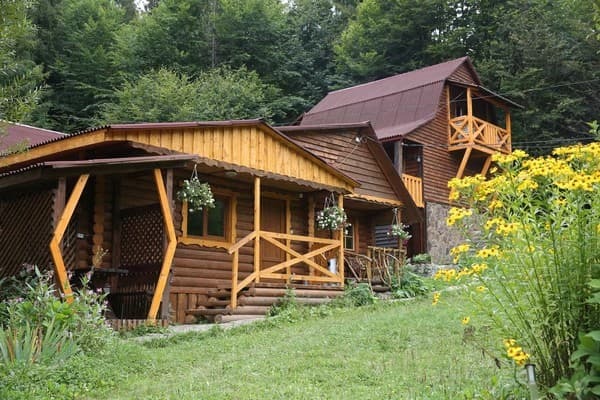 Hotel "Zarinok" is located on the edge of the village of Pilipets, near the forest, on the river bank. The distance to the nearest ski lift is 400 m. To the center of the village of Pilipets - 800 m.
From the Volovets railway station, you can get to the hotel by taxi or book a transfer.